Frau Eos armchair sofa upholstered in blue Frau® SC leather. 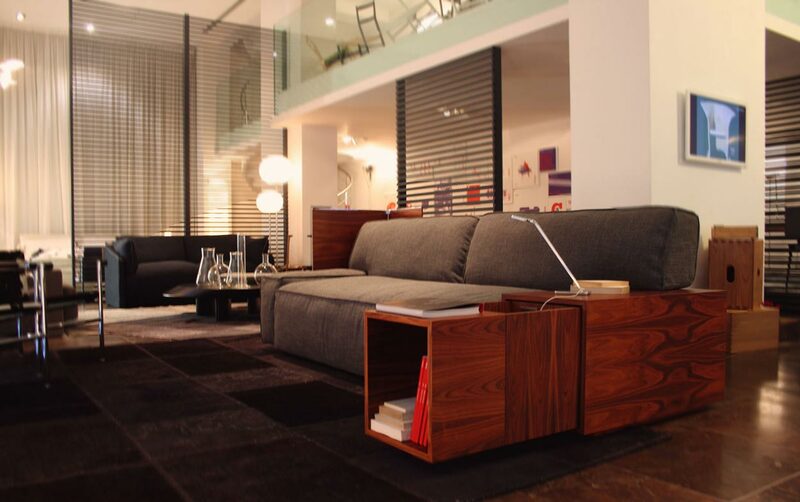 The Eos sofa is a modern, simple and informal sofa. 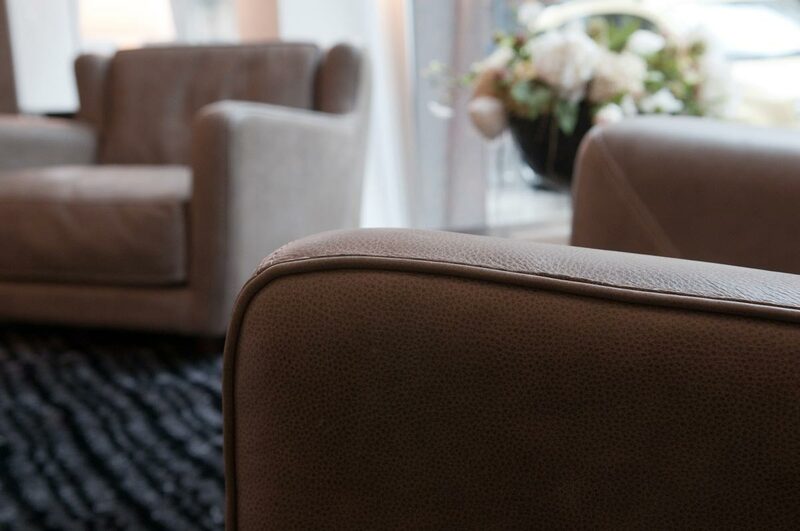 Eos is characterised by its sharply cut armrest. The feet and bases are in polished aluminium or painted in satin-finish aluminium.